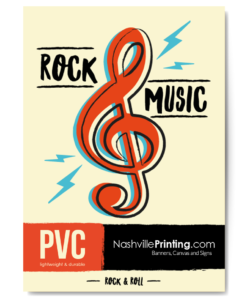 Let Nashville Printing help you advertise and decorate with custom rigid signs made to last.Signs are printed with UV resistant ink on closed-cell plastic or PVC to create the most durable, waterproof signs. 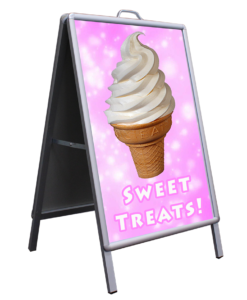 These signs are completely customizable, offering contour cutting for unique shapes and sizes. Signs can be finished in smooth, black, white, metal and acrylic. Each long-lasting finish is paintable. 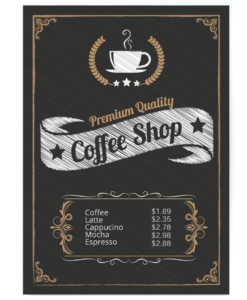 You can order your signs risk free, knowing that Nashville Printing puts your satisfaction first, offering a 100% satisfaction guarantee. If you are not completely satisfied because of something on our end, we will replace or refund the order absolutely free. It’s that simple.